Today in my series of guests, Natalie Snapp from Mommy on Fire is with us. 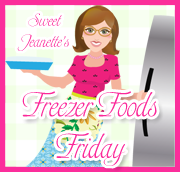 She is sharing some great ideas as well as a recipe that was "husband tested" and passed! Love those kind! I love those reindeer cookies! I wish I could say I've had "snow cream" before, but sadly, here in Florida we don't get much of the "ingredient" to make that! LOL. So, now, let me introduce you to Natalie. 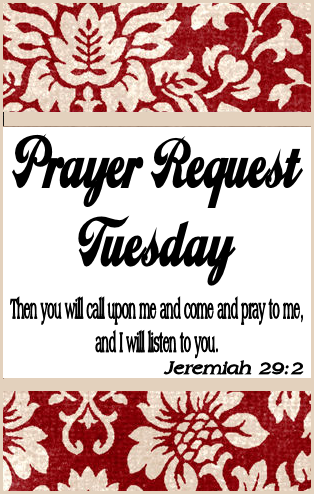 Please pay her blog a visit for more inspiration! 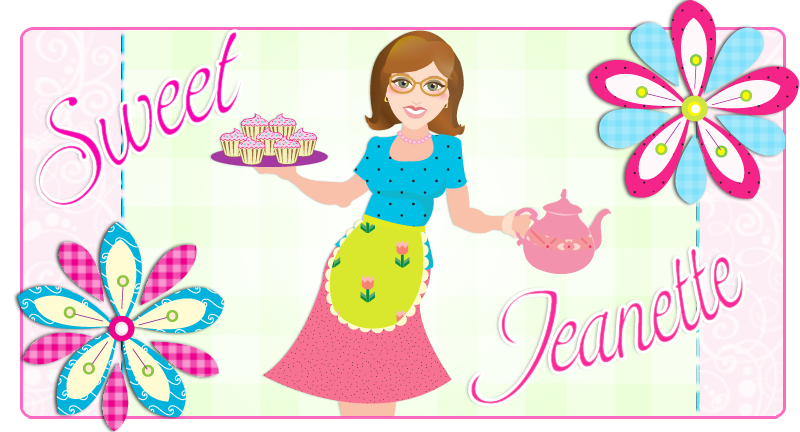 Greetings to all you "Sweet Jeanette" readers and a special thanks to "Sweet Jeanette" for hosting me today! I'm Natalie Snapp from "Mommy on Fire" and I write about my life of raising three young children spaced a little too close together in age, being married to a man who I adore (but we still have to work at our marriage! ), and my reflections on our Jesus who astounds me daily. I'm humbled by the fact that you would read my words - thank you. Baby, it's cold outside for those of us living in places where the winter chill has officially arrived. The air is crisp, our hands are dry, and our skin is flaking. We must bundle ourselves to get the mail and our children can never find a matching mitten. 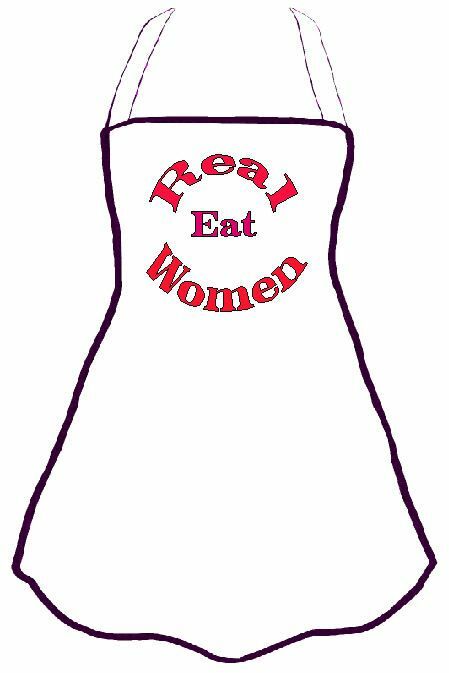 A few months ago, my mother sent a WONDERFUL cookbook to me in the mail and every recipe I have tried has been delicious. Even better, it's a "Weight Watchers" cookbook which means that it's tasty AND healthy. This is certainly the time of the year in which I could cut a few calories here and there. Our favorite meal so far from "Best One Dish Dinners" is the Tuscan Chicken Soup. Even my husband, who is not a soup-for-dinner kind of guy, was in love. 1. Heat a large saucepan over medium heat, coat pan with cooking spray. Add garlic and onion; sauté 5 minutes or until just tender. Add chicken, and cook 5 minutes, stirring to crumble. 2. Add broth and next 6 ingredients. Bring to boil; reduce heat, and simmer 22 minutes or until orzo is done. 3. Stir in spinach; cook 3 minutes or until spinach wilts. Ladle soup into bowls; top with cheese. Yield: 6 servings (serving size: 1 ½ cups soup and 1 teaspoon cheese). Serve with a baguette and bon appetit! Dinner is served. 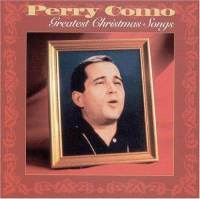 To warm your musical soul, our family has been listening to Perry Como's "Greatest Christmas Songs". Everyone's favorite song is "Christmas Dream" which makes me feel like I should be wearing lederhosen and skiing in Bavaria this holiday season. To warm your kids's souls, why not make some easy "Rudolph Cookies"? Use the icing to attach all of the pieces - if your children are old enough, they can do it themselves and have a ball! 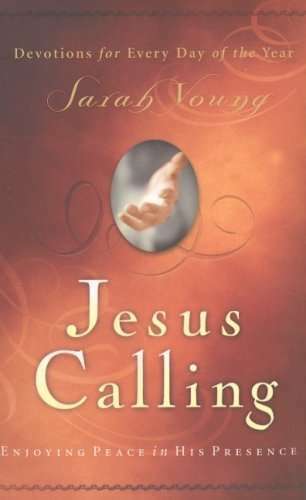 To warm your faith soul, check out my favorite devotional: Jesus Calling by Sarah Young. Sarah writes each day's devotion as if God were speaking directly to you and wow does she just "nail it". I have read many of days in which I feel convicted, thankful, in love, and blessed due to the words God placed on her to share. It's simply beautiful and I know Family Christian recently had them for $5! Lastly, to warm your husband's soul...Hmm. Can't print that here. Use your imagination. Stay warm, stay in, stay cozy. Laugh with your children, let the spousal criticism go, and don't worry about the state of your house - make it a home. Remember to just be still and know. Remember to remember to remember who He is. Celebrate the birth of our Savior over 2,000 years ago because after all, if your heart is warm, it's likely the rest of you will be as well. I love the Rudolph cookies! Delish! Natatlie, if you lived up here you would definitely have a new appreciation for the song "Baby It's COLD outside!". Thank you for the ideas to do while it is cold. I love the book and will definitely be putting it on my purchase after Christmas list. I'm so excited about a new WW recipe - thanks Natalie (I'm still trying to lose the baby weight!!!!). And, I'm happy to "meet" Sweet Jeanette. Look forward to coming back again and again! What a great post Natalie! The Rudolph cookies are too cute. And the soup sounds so, so yummy! Just be still and know... Y-E-S. So fun to find you at another place! Do you want to know a secret? I don't know that I've EVER listened to Perry Como...maybe I should.